Fogcutter is Lost Coast’s Double IPA, pouring with a dark yellow to brownish coloration. There is a fair amount of whitish head that leaves lacing as one continues to drink a glass. There is a sharp, piney initial flavor that opens up gradually. A hint of sweetness works with more floral and fruit elements, making for a double IPA that hits the hoppy and fruity sides of the style. While this is a 8.7% ABV, Lost Coast has ensured their Fogcutter goes down easily. There is a hint of an alcohol bite that peeks through at points, but it works well with the numerous other voices present in the beer. We were particularly happy at how consistent Fogcutter is; the beer is able to warm nearer to room temperature without losing any of the sharpness that initially greeted imbibers. As one continues along, other notes come forward – a bit of wheat here, hints of papaya and apricot there – to ensure that one is as excited to finish the last quaff of the bottle as they were when they initially cracked it. I think the bitterness of Fogcutter is assertive enough to appease even the most veteran hop head, but well-balanced enough to not scare away individuals that may be relatively new to the India pale ale style. For additional information about Fogcutter and the rest of the year-round and seasonal offerings that Lost Coast offers, visit their website. 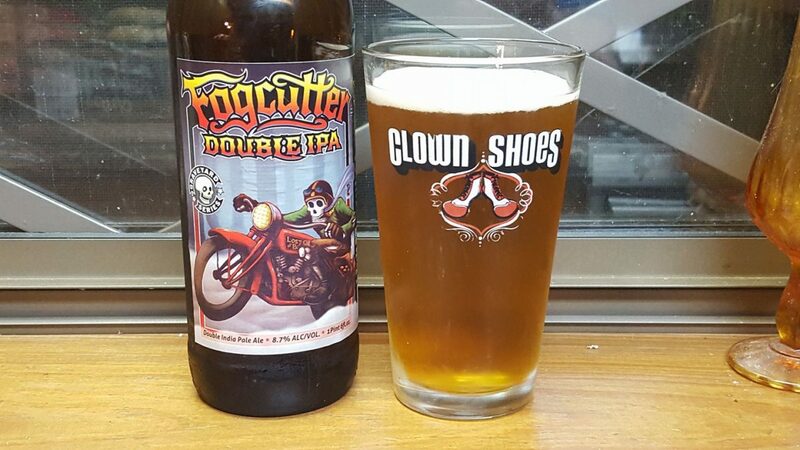 Fogcutter is the perfect sort of effort to sit back with after a long, hot late-summer day. As a recent transplant to the Arkansas area, this brew is something that is much appreciated after a week or two of above-90 temperatures.